Lost Axe: A Chinese Idiom "Suspect the Neighbor of Stealing An Axe"
The Lost Axe here is not about the axe in the Aion Quest game. It is about a Chinese idiom "Suspect the neighbor of stealing an axe" that derived from the following story. 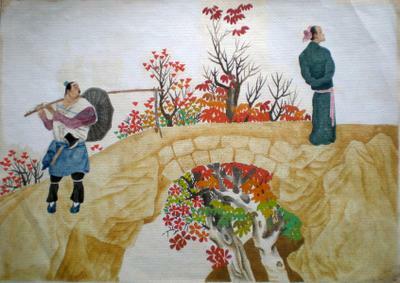 In ancient China, there was a man who found that he had lost his axe. While searching for his lost tool, he began to suspect his neighbour's son. Because of the suspicion, the more he observed the young man, the more the young man looked like a thief. The way he walked, the facial expression and the manner of the young man's speech, etc., basically everything of the young man's appearance and behavior suggested that he had stolen the axe. Not long afterwards though, to this man's amazement, he found his axe when he was digging in his cellar. With the recovery of his axe, when he saw his neighbor's son again, nothing about the young man's appearance and behaviour seemed to suggest that he had stolen the axe. Now Chinese people use the idiom "Suspect the neighbor of stealing an axe" to refer to being subjective instead of objective and giving judgement without evidence. The idiom in Chinese pinyin is: Yi Lin Dao Fu. 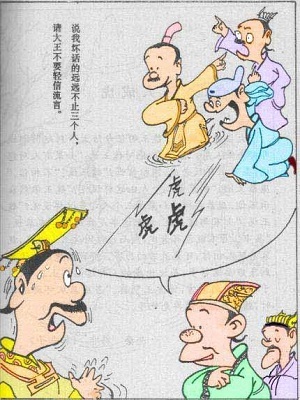 Chinese Idiom: Three Men Make a Tiger - San Ren Cheng Hu. 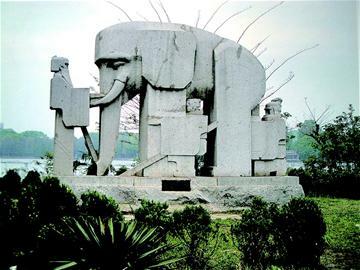 The Blind Men And The Elephant. Chinese Idion Mang Ren Mo Xiang.